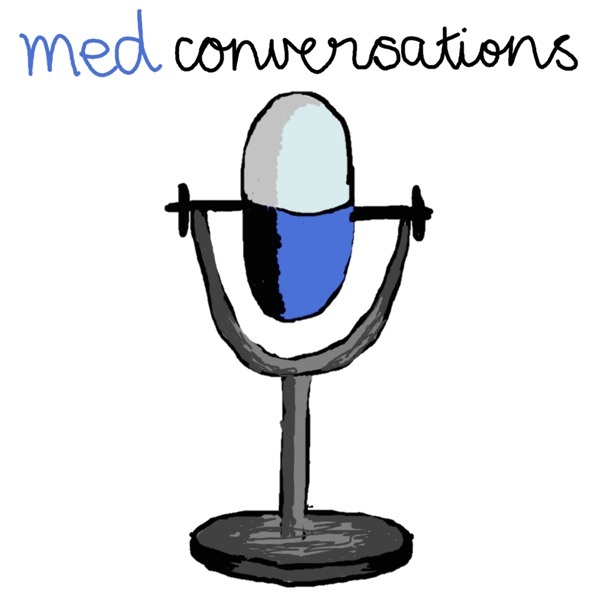 MedConversations | Listen Free on Castbox. Join the conversation with physicians in training as they explain the fundamentals of medicine. All the knowledge you need to survive and thrive on the wards. We create digestible, delectable, bite-sized knowledge bits suitable for medical students and junior physicians aged 6 and up. Join Medconversations for an melodramatic tale of a plucky Siamese fighting fish and one man's journey to virological purity inspired by his faith in the Good Lord above. Along the way you'll finally learn how to interpret hepatitis B serology. Free your mind from the tyranny of the Lamestream media and discover the TRUTH about diffuse parenchymal lung disease (ILD) with your snowflake bustin' hosts Rahul and Scott! Its a long one, so buckle down with your extra doomsday preppin' supplies. Pour yourself a hydralyte on the rocks to sip while you absorb this latest ep, and don't get salty while Bec and Scott drone on about their Drone-At-Home™ program and quasi-current affairs. Call up your injection crew and gather around the gramophone, it's time for Scott and Rahul to bring you the good news about Hepatitis C - there's a cure and we've distilled it here ready for an acoustic injection. Keep the naloxone on standby, we'll be your spiritual guides as we go deep! You'll be hiccuping with joy as Bec and Scott waltz you through chronic renal failure to the soothing strains of Medconversations' favourite regional dialect.